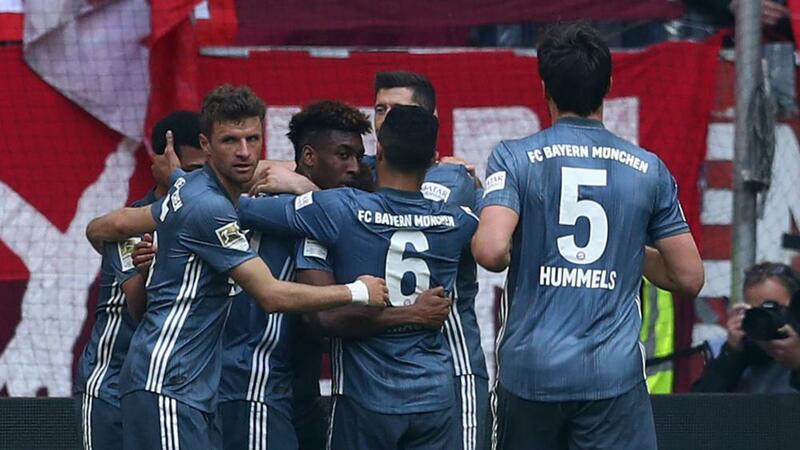 Bayern Munich reclaimed its position at the Bundesliga summit with a comfortable 4-1 win at Fortuna Dusseldorf on Monday (NZST). Borussia Dortmund had unseated Niko Kovac's men on Saturday after edging past Mainz, but the Bavarian giant restored its one-point advantage thanks to a double from Kingsley Coman and strikes from Serge Gnabry and Leon Goretzka. Bayern started where it left off at the beginning of the second period, Rensing superbly denying Thiago Alcantara from close range.